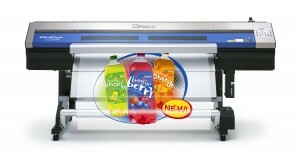 Large format printing is the industry standard in producing dynamic signage with intricate design and colour. The sky is truly the limit now, as digitally printed graphics can be produced on a grand scale right down to small labels. Pictures speak a thousand words, so graphical photorealistic images can immediately portray your product or service across the language barrier. Photo images can be seen from afar, as opposed to just wording and help increase your exposure to more viewers. 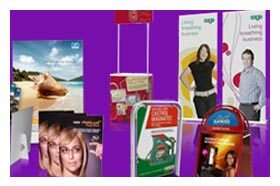 Crystal Signs has years of experience in large format printing and can help you, our customer, choose the right media for your requirements. We offer a full line of cast and calendared vinyl’s as well as canvas, banner, wallpaper, rigid substrates, perforated vinyl and poster paper in matt and gloss finishes. Clear laminates are available to increase durability and uv protection, especially when using digitally printed graphics for exterior applications, that are typically exposed to the elements and/or abrasion. Interior signs, Exterior signs, Vehicle graphics (including wraps), Point of Sale, Realtor signs, Photo prints, Limited edition prints, Frontlit and Backlit signs, Posters, Displays, Banners, Billboards, Floor graphics, Murals, Wallpaper, Trade show signage, Window signage, etc. 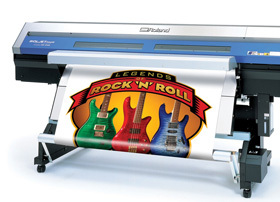 There are literally thousands of applications for large format digital printing. 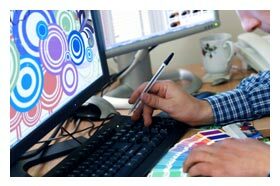 Contravision is a form of large format printing, where full colour graphics can be printed onto a media that has thousands of tiny holes in it. When viewed through a window from the back, one can see through the graphic, yet from the front, the graphic appears as a solid panel. Realtors can now enjoy personal product branding as their photo can be displayed on their home for sale boards and show home boards. 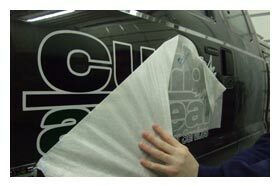 Crystal Signs hopes to be of service to you in the near future with your large format printing requirements. Whatever the application, we can assist you with design and installation. 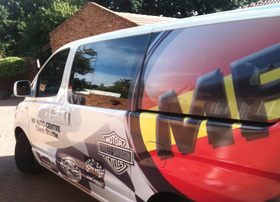 Present your business to the public with dynamic, full colour graphics that are bound to catch the eye. 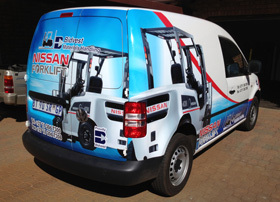 Call Crystal Signs today on 011-823-1822 or Click Here to see how we can help you with large format printing.